American test pilot astronaut 1978-1991. Flew 315 combat missions in Vietnam. Status: Inactive; Active 1978-1991. Born: 1946-01-16. Spaceflights: 3 . Total time in space: 19.33 days. Birth Place: Sacramento, California. Coats was called Superman by his fellow astronauts due to his resemblance to actor Christopher Reeve. He had the constant, uncanny and unnerving habit of flipping a pen into the air, catching it, and continuing the process indefinitely without ever missing. Coats was a quiet family man, devoted to his wife. He never drank or swore or got drunk or indulged in the astronaut groupies. EDUCATION:� Graduated from Ramona High School, Riverside, California, in 1964.� Received a Bachelor of Science in Naval Science from the United States Naval Academy in 1968, a Master of Science in Administration of Science and Technology from George Washington University in 1977, and a Master of Science in Aeronautical Engineering from the U.S. Naval Postgraduate School in 1979. ORGANIZATIONS:� Member, Society of Experimental Test Pilots; Association of Space Explorers. EXPERIENCE:� Coats graduated from Annapolis in 1968 and was designated a Naval Aviator in September 1969.� After training as an A-7E pilot, he was assigned to Attack Squadron 192 (VA-192) from August 1970 to September 1972 aboard the USS Kitty Hawk and, during this time, flew 315 combat missions in the Vietnam War. �He served as a Flight Instructor with the A-7E Readiness Training Squadron (VA-122) at Naval Air Station, Lemoore, California, from September 1972 to December 1973, and was then selected to attend the U.S. Naval Test Pilot School, Patuxent River, Maryland.� Following test pilot training in 1974, he was Project Officer and Test Pilot for the A-7 and A-4 aircraft at the Strike Aircraft Test Directorate.� He served as a Flight Instructor at the U.S. Naval Test Pilot School from April 1976 until May 1977.� He then attended the U.S. Naval Postgraduate School at Monterey, California, from June 1977 until his selection for the astronaut candidate program. He has logged more than 5,000 hours flying time in 28 different types of aircraft and more than 400 carrier landings. SPACEFLIGHT EXPERIENCE:� STS 41-D launched from Kennedy Space Center, Florida, on August 30, 1984.� This was the maiden flight of space shuttle Discovery.� During this six-day mission, the crew successfully activated the OAST-1 solar cell wing experiment, deployed three satellites (SBS-D, SYNCOM IV-2 and TELSTAR 3C) and operated the CFES��III experiment, the student crystal growth experiment and photography experiments using the IMAX motion picture camera.� The crew earned the name “Icebusters” for successfully removing hazardous ice particles from the orbiter using the Remote Manipulator System.� STS 41-D completed 96 orbits of the Earth before landing at Edwards Air Force Base, California, on September 5, 1984. STS-29 Discovery launched from Kennedy Space Center on March 13, 1989.� During this highly successful five-day mission, the crew deployed a Tracking and Data Relay Satellite and performed numerous secondary experiments, including a space station “heat pipe” radiator experiment, two student experiments, a protein crystal growth experiment and a chromosome and plant cell division experiment.� In addition, the crew took more than 3,000 photographs of the Earth using several types of cameras, including the IMAX 70 mm movie camera.� Mission duration was 80 orbits of the Earth and concluded with a landing at Edwards Air Force Base on March 18, 1989. STS-39, an unclassified eight-day Department of Defense mission, launched from Kennedy Space Center on April 28, 1991.� The seven-member crew worked around the clock in two-shift operations, during which they deployed, operated and retrieved the SPAS-II spacecraft, in addition to conducting various science experiments, including research of both natural and induced phenomena in the Earth’s atmosphere.� After completing 134 orbits of the Earth, Discovery and her crew landed at Kennedy Space Center on May 6, 1991. BIRTHPLACE AND DATE: Born January 16, 1946, in Sacramento, California, but considers Riverside, California, as his hometown. His father, Col. Loyd A. Coats (USAF Ret. ), resides in Dunbar, Wisconsin. His mother, Mrs. Jan Coats, resides in Ft. Collins, Colorado. PHYSICAL DESCRIPTION: Brown hair; blue eyes; height: 6 feet; weight: 190 pounds. EDUCATION: Graduated from Ramona High School, Riverside, California, in 1964; received a bachelor of science degree from the United States Naval Academy in 1968, a master of science in Administration of Science and Technology from George Washington University in 1977, and master of science in Aeronautical Engineering from the U.S. Naval Postgraduate School in 1979. MARITAL STATUS: Married to the former Diane Eileen Carson of Oklahoma City, Oklahoma. Her parents, Dr. and Mrs. James W. Carson, reside in O'Fallon, Illinois. CHILDREN: Laura M., August 29, 1973; Paul M., November 2, 1978. RECREATIONAL INTERESTS: He enjoys reading, racquetball, and jogging. ORGANIZATIONS: Member, Society of Experimental Test Pilots; Associate Fellow, American Institute of Aeronautics and Astronautics. SPECIAL HONORS: Awarded the Defense Superior Service Medal, 2 Navy Distinguished Flying Crosses, 32 Strike Flight Air Medals, 3 Individual Action Air Medals, 9 Navy Commendation Medals with Combat V, and the NASA Space Flight Medal. EXPERIENCE: Coats graduated from Annapolis in 1968 and was designated a naval aviator in September 1969. After training as an A-7E pilot, he was assigned to Attack Squadron 192 (VA-192) from August 1970 to September 1972 aboard the USS KITTYHAWK and, during this time, flew 315 combat missions in Southeast Asia. He served as a flight instructor with the A-7E Readiness Training Squadron (VA-122) at Naval Air Station, Lemoore, California, from September 1972 to December 1973 and was then selected to attend the U.S. Naval Test Pilot School, Patuxent River, Maryland. Following test pilot training in 1974, he was project officer and test pilot for the A-7 and A-4 aircraft at the Strike Aircraft Test Directorate. He served as a flight instructor at the U.S. Naval Test Pilot School from April 1976 until May 1977. He then attended the U.S. Naval Postgraduate School at Monterey, California, from June 1977 until his selection for the astronaut candidate program. He has logged over 5,000 hours flying time in 28 different types of aircraft, and 400 carrier landings. NASA EXPERIENCE: Selected as an astronaut candidate in 1978, Coats became a NASA Astronaut in August 1979. He was a member of the STS-4 astronaut support crew, and was a capsule communicator for STS-4 and STS-5. A veteran of three space flights, Coats flew on STS-41D in 1984, STS-29 in 1989, and STS-39 in 1991. From May1989 to March 1990, he served as Acting Chief of the Astronaut Office. On his first mission, Coats was pilot on the crew of STS-41D, which launched from Kennedy Space Center, Florida, on August 30, 1984. This was the maiden flight of the Orbiter Discovery. During this 6-day mission the crew successfully activated the OAST-1 solar cell wing experiment, deployed three satellites (SBS-D, SYNCOM IV-2, and TELSTAR 3-C), operated the CFES-III experiment, the student crystal growth experiment, and photography experiments using the IMAX motion picture camera. The crew earned the name "Icebusters" in successfully removing hazardous ice particles from the orbiter using the Remote Manipulator System. STS-41D completed 96 orbits of the earth before landing at Edwards Air Force Base, California, on September 5, 1984. 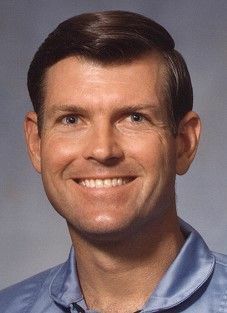 In February 1985, Coats was selected as spacecraft commander of STS-61H, which was subsequently canceled after the Challenger accident. As spacecraft commander of STS-29, Coats and his crew launched from Kennedy Space Center, Florida, aboard the Orbiter Discovery, on March 13, 1989. During this highly successful five day mission, the crew deployed a Tracking and Data Relay Satellite, and performed numerous secondary experiments, including a Space Station "heat pipe" radiator experiment, two student experiments, a protein crystal growth experiment, and a chromosome and plant cell division experiment. In addition, the crew took over 3,000 photographs of the earth using several types of cameras, including the IMAX 70 mm movie camera. Mission duration was 80 orbits and concluded with a landing at Edwards Air Force Base, California, on March 18, 1989. With the completion of his second mission, Coats has logged a total of 264 hours in space. More recently, Coats commanded a seven man crew on STS-39. This unclassified eight day Department of Defense mission launched from the Kennedy Space Center, Florida on April 28, 1991. Crew members worked around-the-clock in two-shift operations during which they deployed, operated and retrieved the SPAS-II spacecraft, in addition to conducting various science experiments including research of both natural and induced phenomena in the Earth's atmosphere. After completing 134 orbits of the Earth, Discovery and her crew landed at the Kennedy Space Center, Florida on May 6, 1991. With the completion of his third mission, Coats has logged over 463 hours in space. Departed Date: 1991-08-01. Marital Status: Married. Children: Two children. Childhood: Grew up in Riverside, California, son of an Air Force officer.. Education: Annapolis;Patuxent. Family: Astronaut. Country: USA. Flights: STS-12, STS-41-D, STS-61-H, STS-29, STS-39. Projects: STS. Agency: USN. Bibliography: 12, 5273. 1946 January 16 - . Birth of Michael Lloyd 'Mike' Coats - . Nation: USA. Related Persons: Coats. American test pilot astronaut 1978-1991. Flew 315 combat missions in Vietnam. 3 spaceflights, 19.3 days in space. Flew to orbit on STS-41D (1984), STS-29, STS-39..
STS-61-H (cancelled) - . Crew: Blaha, Buchli, Coats, Fisher, Springer, Sudarmono, Wood, Nigel. Backup Crew: Akbar, Farrimond. Payload: Communications satellites. Nation: USA. Program: STS. Flight: STS-61-H. Spacecraft Bus: Shuttle. Spacecraft: Columbia. Planned shuttle mission for deployment of commercial communications satellites. Cancelled after Challenger disaster. .
1989 March 13 - . 14:57 GMT - . Launch Site: Cape Canaveral. Launch Complex: Cape Canaveral LC39B. Launch Platform: MLP2. LV Family: Shuttle. Launch Vehicle: Space Shuttle. STS-29 - . Call Sign: Discovery. Crew: Bagian, Blaha, Buchli, Coats, Springer. Payload: Discovery F08 / SHARE. Mass: 17,280 kg (38,090 lb). Nation: USA. Related Persons: Bagian, Blaha, Buchli, Coats, Springer. Agency: NASA Houston. Program: STS. Class: Manned. Type: Manned spaceplane. Flight: STS-29. Spacecraft Bus: Shuttle. Spacecraft: Discovery. Duration: 4.99 days. Decay Date: 1989-03-18 . USAF Sat Cat: 19882 . COSPAR: 1989-021A. Apogee: 308 km (191 mi). Perigee: 297 km (184 mi). Inclination: 28.50 deg. Period: 90.60 min. Manned five crew. Deployed TDRS 4. Payloads: Deploy IUS (Inertial Upper Stage) with Tracking and Data Relay Satellite (TDRS)-D. Protein Crystal Growth (PCG); Chromosome and Plant Cell Division in Space; IMAX 70mm camera; Shuttle Student Involvement Project (SSIP) experiments: SSIP 82-8, Effects of Weightlessness in Space Flight on the Healing of Bone Fractures, and SSIP 83-9, Chicken Embryo Development in Space; Air Force Maui Optical Site (AMOS) experiment. 1989 March 18 - . Landing of STS-29 - . Return Crew: Bagian, Blaha, Buchli, Coats, Springer. Nation: USA. Related Persons: Bagian, Blaha, Buchli, Coats, Springer. Program: STS. Flight: STS-29. STS-29 landed at 14:31 GMT. .